Our vision is to provide high quality care to all our patients and to continually strive to improve our service to the community. Our main surgery is in Summertown with others in Cutteslowe and Wolvercote. Between them they are open for consultations for a total of 140 hours each week including opportunities for early morning, late evening telephone consultations and surgeries and a Saturday morning surgery. Out of normal opening hours you should call 111 if you require urgent health advice. We are a group practice. Our team of GPs work together sharing information within the practice to enable you to see any GP. However, every patient has a named GP responsible for their care (if you do not know who your named GP is, please contact the health centre). We also run regular clinics covering a wide range of services. Our practice area covers Summertown and North Oxford, including Wolvercote, Cutteslowe, Marston and Kidlington. It goes into the city centre as far as Beaumont Street. We also look after students at the University Colleges of Trinity, St Hugh’s, St Edmund Hall and St Antony’s and The Dragon School, St Edwards School and Summer Fields School. If you would like to register with us please click here. The doctors will not be in the practice during the afternoon of Thursday 4th April 2019. Nurse appointments remain unaffected and the reception desk will still be open for queries. If you have an urgent medical problem please dial 111. If you are calling about a life-threatening medical emergency, please call 999. For routine or non-urgent enquiries please contact this practice tomorrow. Dr Dave Triffitt, Dr Siobhan Becker and Dr Sanjay Mehta are raising money for British Heart Foundation. They are taking part in the Blenheim triathlon on 4th June 2019. The British Heart Foundation does a huge amount for patients with heart disease; they fund an enormous amount of research into heart disease and stroke, as well as providing invaluable support to patients and clinicians. Dr Triffitt had surgery last year to replace his aortic valve; heart disease affects all of us, or someone we know, and we are very grateful for any support for this fantastic organisation. Please visit British Heart Foundation for more information. Please note, unfortunately we are unable to offer parking to patients in our car park. This is a staff only car park. Please use the Ferry Pool car park which is a short walking distance from the surgery. 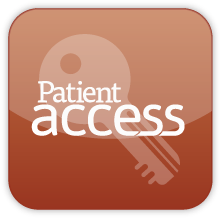 If you would like to leave feedback about our service please click on the patient survey icon below.